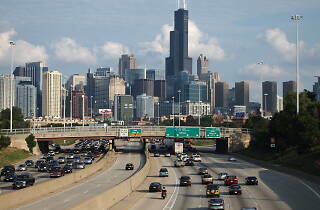 Chicago’s traffic situation is officially a disaster. This morning, a new report from transportation analytics firm INRIX revealed that the city now ranks third in the country for traffic congestion, eclipsing New York City and Los Angeles. The dubious distinction came on the heels of a difficult Monday for Chicago commuters, after two cracked steel support beams were discovered beneath the northbound section of Lake Shore Drive near the Chicago River, closing the busy thoroughfare for much of the morning and evening rush hour. The Chicago Department of Transportation believes the extreme dip in temperatures over the past few weeks was at least partially responsible for the damage, and Lake Shore Drive’s constant traffic definitely didn’t help the situation. The affected northbound section of Lake Shore Drive, which is expected to be reopened before tonight’s evening rush, handles an estimated 60,000 vehicles a day. However, the damaged steel beams aren’t the only things feeling the burden of the city’s problematic congestion. 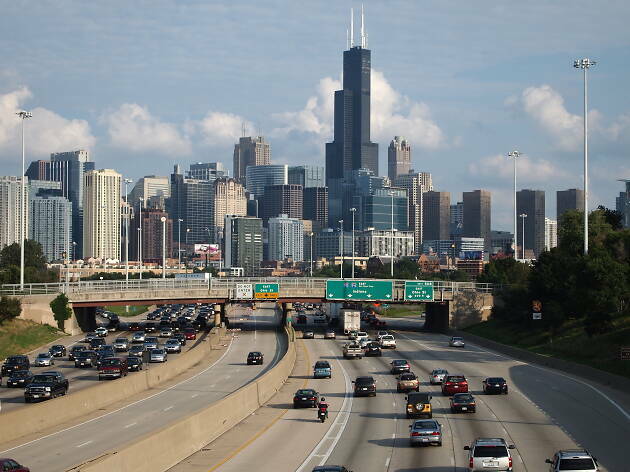 In its report, INRIX states that traffic costs each Chicago driver an average of $1,920 in lost productivity annually, resulting in a total cost of $6.2 billion each year. Chicago’s jump in the traffic congestion rankings—the city was ranked fifth in 2017—can be attributed to two major roads. I-94/I-90 from the Stevenson Expressway to Interstate 294 was the second most congested U.S. road in 2018 with a 26-minute average daily delay. A stretch of I-290 from I-94 to I-294 ranked third with an average delay of 23 minutes. With Chicago's traffic congestion on the rise and crumbling infrastructure making it more difficult to navigate the city's road, maybe waiting 20 minutes for a train isn't such a terrible fate? What's life really like in Chicago today? Take the Time Out Index survey and tell us about it.